This is a comphrenshive list of all former Maine HS runners that will compete in the NCAA XC National Champions this weekend. If I have left someone out it wasn't on purpose, and please let me now so I can include you in the list. Impressive that we will have 4 individual men in the D1 race, along with 2 individual women in the D1 Race. We have one male in the D2 race. And in D3 we have 5 men along with 2 women. In total there are 14 native Maine runners who will be competing. Matt McClintock of Purdue (Madison '12) was the runner-up in the Great Lakes Regional, just 2 seconds off of first place with a 30:07 effort. Matt advances to the National meet for the 2nd straight year as an individual qualifier. Matt is looking for his first college All-American award at Nationals. Bethanie Brown (Waterville '13) pictured above (601) running for Iowa State helped her team win the Midwest Regional with a 3rd place overall finish. Brown covered the 6k course in a personal best 20:24. Will Geoghegan (Brunswick '10) pictured above (512) & Henry Sterling (NYA '10) will represent Dartmouth College. 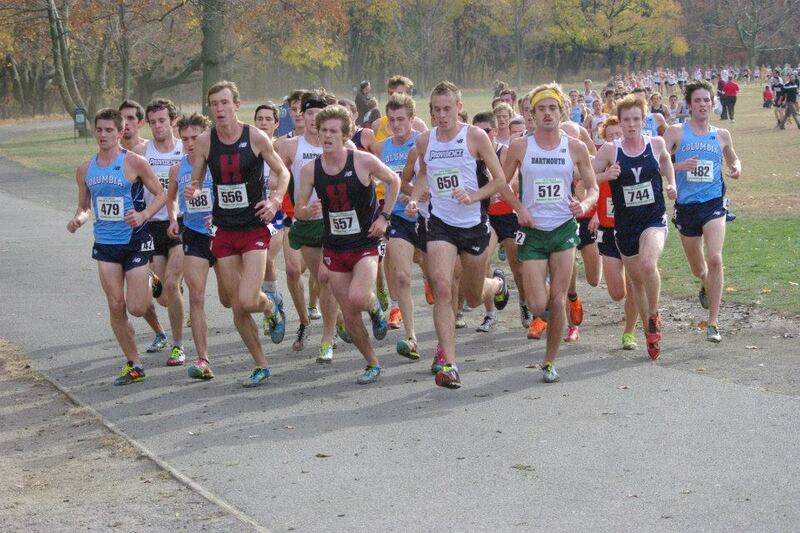 Will finished 5th in the NE Regional, 30:22 while Henry was 34th, running 31:02. They helped the Big Green get an at large bid. 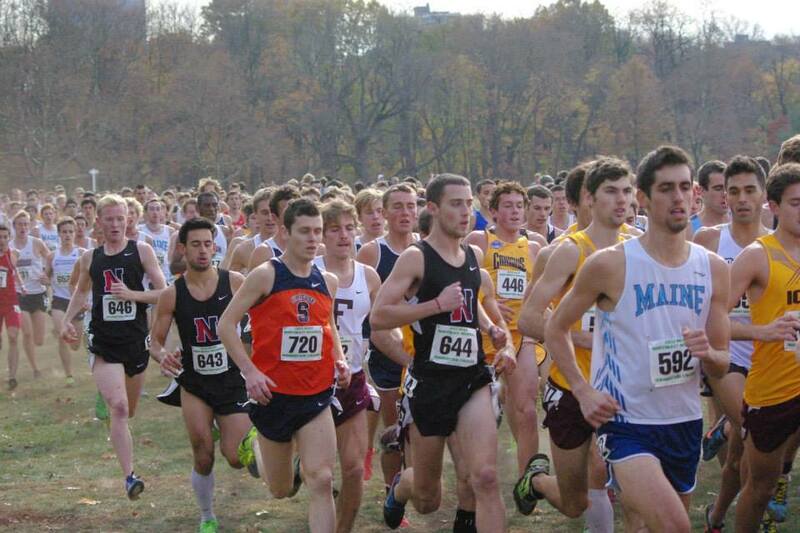 Kelton Cullenberg (Mt Blue '10) pictured above (592) finished 17th in the NE Region running 30:35, he was 1 of 4 individual selected from the region to advance to Terre Haute. Kelton is the first Umaine male xc runner to advance to the national meet. Abbey Leonardi (Kennebunk '12) is headed to nationals for the 2nd straight year. Leonardi was the 4th runner for the Oregon Ducks in the West Regional. Oregon the defending national champions, advanced as a team via an at large bid. Abbey ran a career best 20:22 for 6k in placing 31st. Matt Guiod (Mattanawcook '12) pictured above (492) helped his Lock Haven team to a win in Atlantic Regional. Guiod ran a personal best 31:12 for 10k to finish 9th overall. 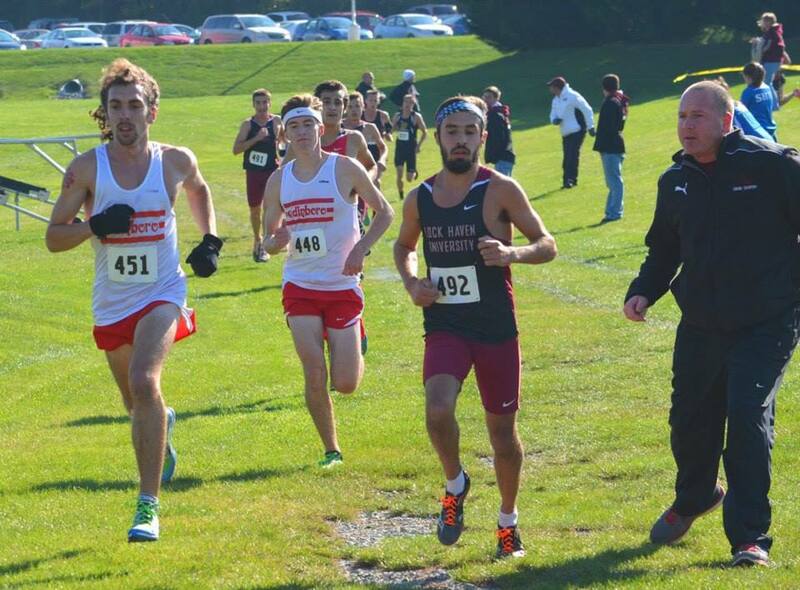 Silas Eastman (Fryeburg Academy '13) was the #2 runner for the Mules on Saturday, Eastman one of the top Maine HS xc of all-time finished 19th overall in a personal best 25:12.95 for 8k. Also Jeff Hale (Waterville '11) was the #3 runner for Colby finishing 26th overall.